Amazing story. Absolutely loved it. Acting was top notch and was hooked from the first episode. Loved it! Alex Blumberg sits down with the stars of the <em>Homecoming </em>&nbsp;TV show-- Julia Roberts and Stephan James, and director Sam Esmail-- to talk about how they came to the project and what it was like to film it.<br><br>This is the final part of a four-part mini-series on the making of the <em>Homecoming</em> TV show. Micah and Eli get to work, writing the scripts for the <em>Homecoming</em> TV show. But taking something meant only for the ear, and turning it into something for the eye... proves to be deceptively challenging. Plus, Alex visits the set of the show, to meet the small army of people actually building the visual world of <em>Homecoming</em>. <br><br>This is the second part of a four-part mini-series on the making of the <em>Homecoming</em> TV show, which airs November 4th. 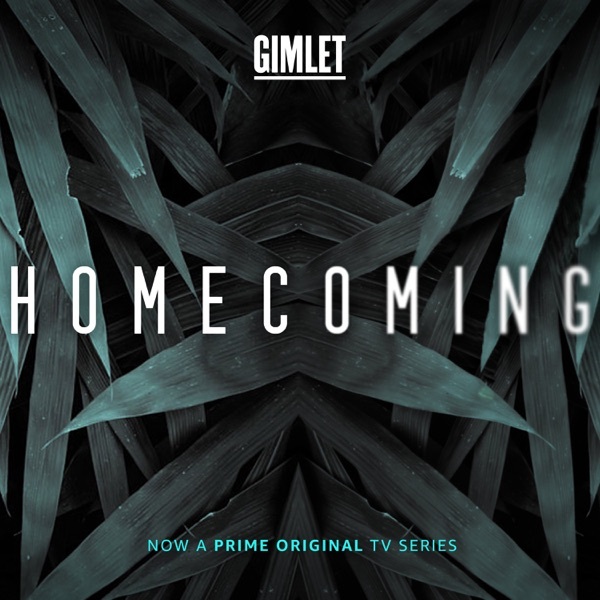 Two years ago, Gimlet launched its first fiction podcast: <em>Homecoming</em>. Now, this November, a television series based on the hit podcast and starring Julia Roberts is launching.&nbsp; <br><br>Alex Blumberg went behind the scenes as <em>Homecoming</em> went from podcast to TV production. In this first episode, <em>Homecoming</em> creators Eli Horowitz and Micah Bloomberg recount the journey, from concept to podcast to pitching the show to bigtime Hollywood producers. And we hear from some of the celebrities they met along the way.<br><br>This is the first part of a four-part mini-series on the making of the <em>Homecoming</em> TV show.